Every musician knows that learning to play an instrument has its challenges and its rewards. There's the embarrassing first day of rehearsal, but also the joy of making friends in the orchestra. There's dealing with slippery concert dress, or simply getting swept up in the music. The twelve children in this book are just like any other musicians practicing their instruments and preparing for a concert. But what sets these music lovers apart is that they all play traditional Chinese musical instruments in a Chinese orchestra. 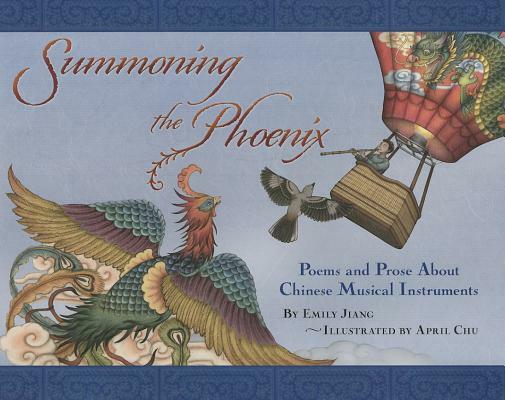 Including both flights of fancy and practical considerations, lively poems capture each child's musical experience with a different Chinese instrument, while sidebars provide more information about each one. Vivid illustrations depicting each fascinating instrument bring you along on this musical journey. And then you are invited to the grand finale.